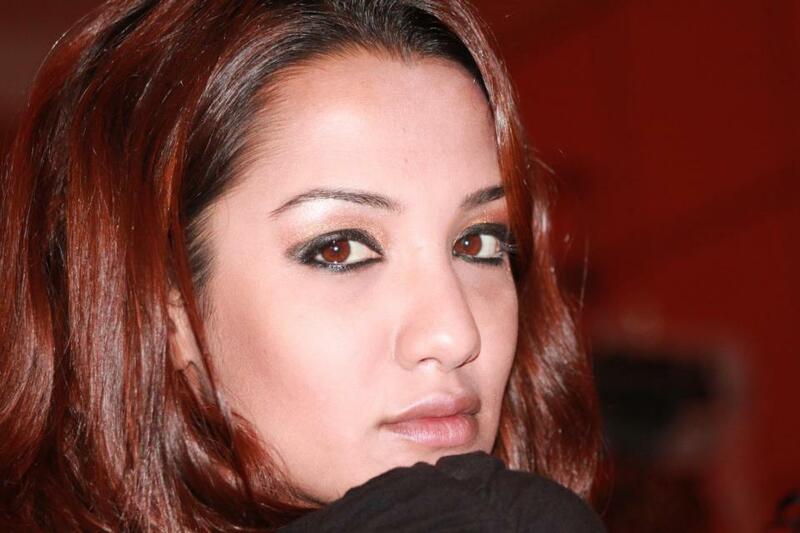 Priyanka Karki - Debut movie for her. Priyanka is a popular nepali model VJ and crowned Miss Teen Nepal 2005. Production: Ashabadi Films Pvt. Ltd.
Miss Teen Nepal (2005) in her Debut Nepali Movie appearance. She has acted in several advertisements and also hosted some popular programs in Kantipur Television. When Friendship leads to violence. Made For Each Other - Cant Be together. Pramod Bharadwaj: Brother of Script Writer Pradeep Bhardwoj in his debut appearaance in Nepali Movie industry. Bhawana Regmi: Daughter of Director Shiva Regmi in her Debut Nepali movie as a lead actress. 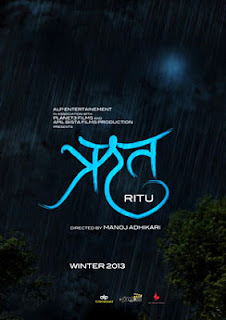 Directed By: Shiva Regmi Nepali Film Director, Producer and Writer. He was awarded with the National Film Award for Best Director 2010 for the film Duniya (Released in 2005 A.D.) by the Film Development Board . Production: Kotaki kalika Devi Films Pvt. Ltd. 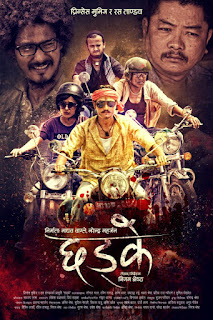 This is the 6th Film for Kotako kalika Devi Films production. Kagbeni is based on w.w. Jacob's 1902 horror short story The monkey's Paw and the movie is shooted at kagbeni, Jomsom, Marpha, and Shyang in Mustang district of Nepal. 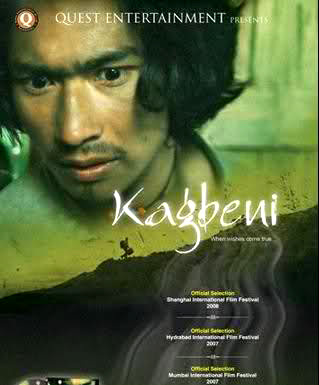 Kagbeni is based on some supernatural power to make one's wishes come true. Krishna (Nima Rumba): Returns back from Malaysia after a long time. Meets his childhood friend Ramesh (Saugat Malla) and Bishnu (hanif Mohammed). Krishna is there to marry Tara (Deeya Maskey). Ramesh (Saugat Malla): Runs a small apple liquor business in a Village who loves Tara (Deeya Maskey). Tara(Deeya Maskey): Married to Ramesh (with his wish coming true). Namrata Shrestha - Her Debut appearance in Nepali film industry. 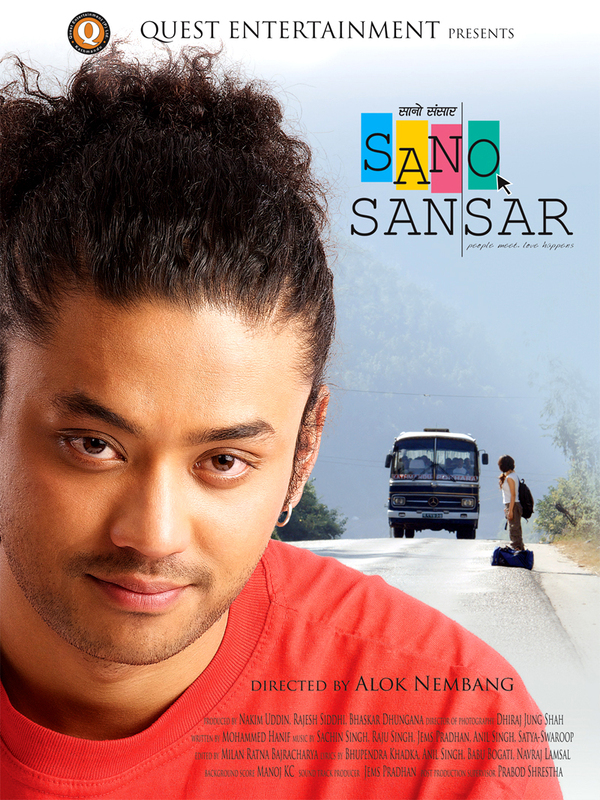 Directed By: Alok Nembang - He has directed more than 300 music videos. Debut Nepali Movie direction by Alok Nembhang. Production: Quest Entertainment - Second HD Movie after Kagbeni. Storyline: Sano Sansar(Small World) is a movie which depicts how small this world is by making connections of different characters in the movie in different ways. The movie is influenced by the Korean movie 'My Sassy Girl' and the english movie You've Got Mail. Ravi (Karma): Fresh computer Graduate who knows how to socialize in the computer world rather than in real world. He is in love with a chat friend Reetu. Reetu (Namrata Shrestha): Daughter of a police Inspector, she knows what she wants in her life and what she doesn't. Suraj (Vinay Shrestha): An enterpreneur who know exactly what he wants in his life. Dumped by Reetu when trying to have a forceful physical relationship. "Uma" is a film by Mila Productions Pvt. Ltd. and first commercial feature film by acclaimed filmmaker Tsering Rhitar Sherpa. Tentative Release Date: May 24, 2013, Jyestha 10, 2070 B.S. Cast: Reecha Sharma, Saugat Malla, Mithila Sharma, Prawin Khatiwada, Dayahang Rai, Pramod Agrahairi, Pushkar Gurung and Suresh Chand. Story/Directed and produced by: Tsering Rhitar Sherpa who has also directed "Mukundo" and "Karma" previously. Production: Mila Productions Pvt. Ltd.
StoryLine: Uma is a film about Female Combatant. Uma will be based on a true story that occured between 1995 to 2005 A.D. during which the country was going through the biggest Conflicts. 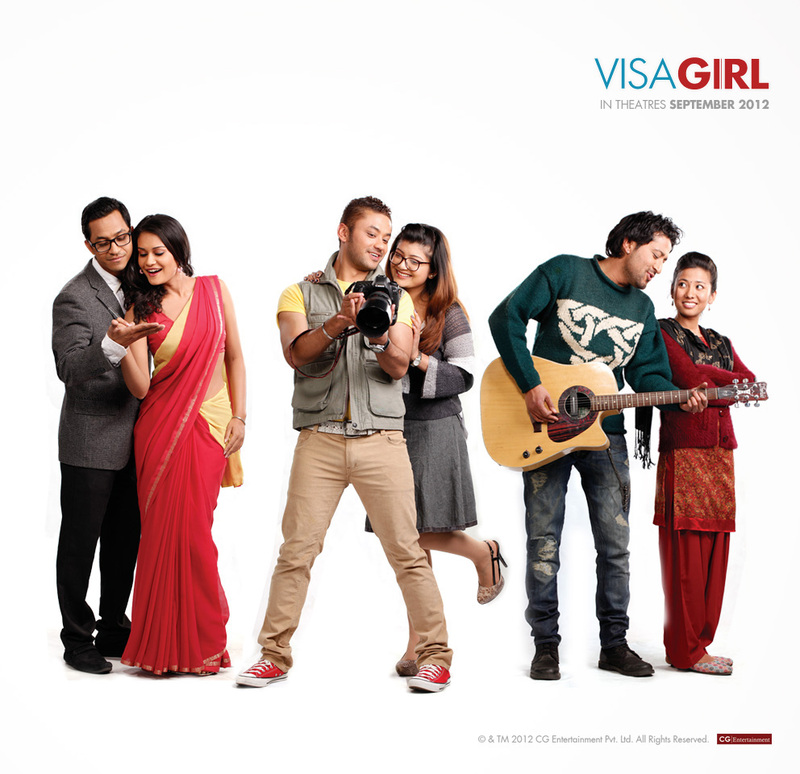 Saugat Malla and Reecha Sharma will come up as brother and sister in the screen in this Nepali movie. Cast: Robin Tamang from the popular Rock Band "Robin and the new Revolution"
To watch full nepali movie Chadke, click on the link: "Full nepali movie Chadke in Youtube"
Released Date: October 5, 2012 A.D.
- Meets a green card holder girl who comes to Nepal for some charity work. - These 3 Guys tries to trap her in love and go to USA with her. To watch full nepali movie Visa Girl, click on the link: "Visa Girl full nepali movie"
I would like to request you to post your reviews/comments for the movie VISA GIRL below. First Nepali movie made by private Sector: Maitighar (Maternal Home), Released Date: 1966 A.D., Artists: Mala Sinha (Indian Artist), C.P. Lohani, Produced By: Sumonanjali Films Pvt. Ltd.
First Color Nepali language movie: Kumari, Released Date: 1977 A.D., Produced By: Royal Nepal Film Corporation, Artists: Bishwa Basnet, Chaitya Devi. Royal Nepal Film Corporation was established by the Nepalese Government in 1971 A.D.
1980s: Some popular movies released during 80s were Samjhana (Memories), kusume Rumal(Scarlet Hankerchief), Lahure (The Army man) etc. More creative movies were released and became successful during this peroid and around 300 cinema halls were added. Mid 1990s: During this period the Maoist revolution started which eventually resulted in the downfll of the Nepali film industry. 2006 - Present: Some experimental movies have been released rather than the same old Bollywood influenced movies. 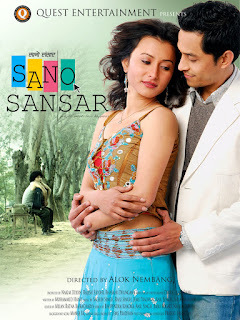 Kagbeni, Sano Sansar(Small World), Mero Euta Sathi Chha (I have one friend), First love, Loot, Visa Girl etc are some quality cinemas released during this period. 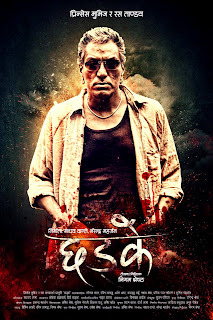 Loot emerged as a blockbuster movie and was able to produce a strong impact on Nepali audiences both in the National and International level. Film Development Board (FDB) was established on June 30, 2000 A.D. by the Government of Nepal for conceptualization, making, distribution and exhibition of films in Nepal.